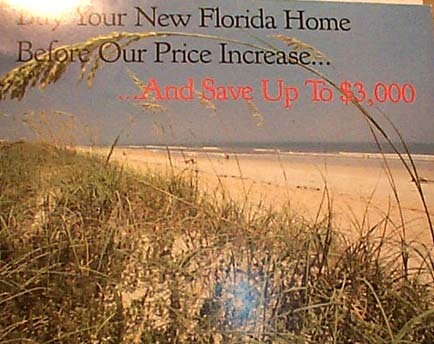 Please note the picture advertising of the 'Beach'...' ...5 Miles of 'Palm Coast Beach' ...' that we once had. * Prices are for homes only. Building sites, in a wide variety of locations, are available from $ 9,000. 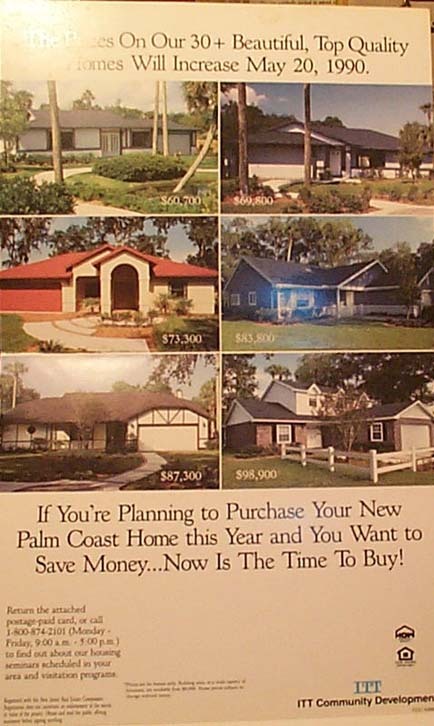 Home prices subject to change without notice. Registered with the New Jersey Real Estate Commission. Registration does not constitute an endorsement of the merits or value of the project. Obtain and read the public ofering statement before signing anything. We willl continue to remain Stewards of these Resources hoping for a Certified Local Government like so many other Florida Leadership Cities already are; hoping for a Museum like Flagler Beach already has.